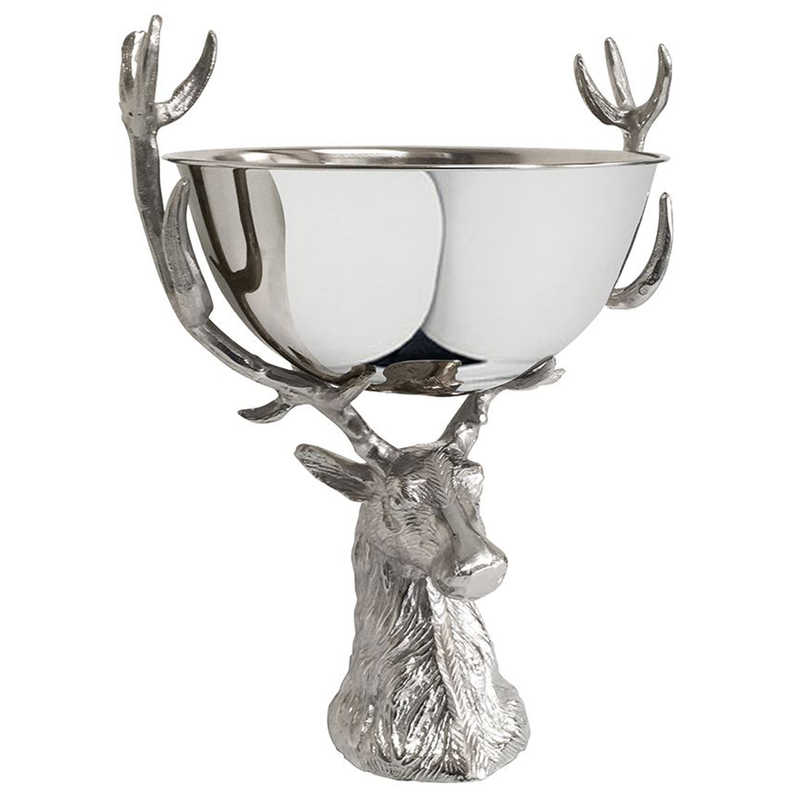 This Punch Bowl with Stag Stand is sure to be the centre of attention at any party, special occasion or gathering with its majestic design. 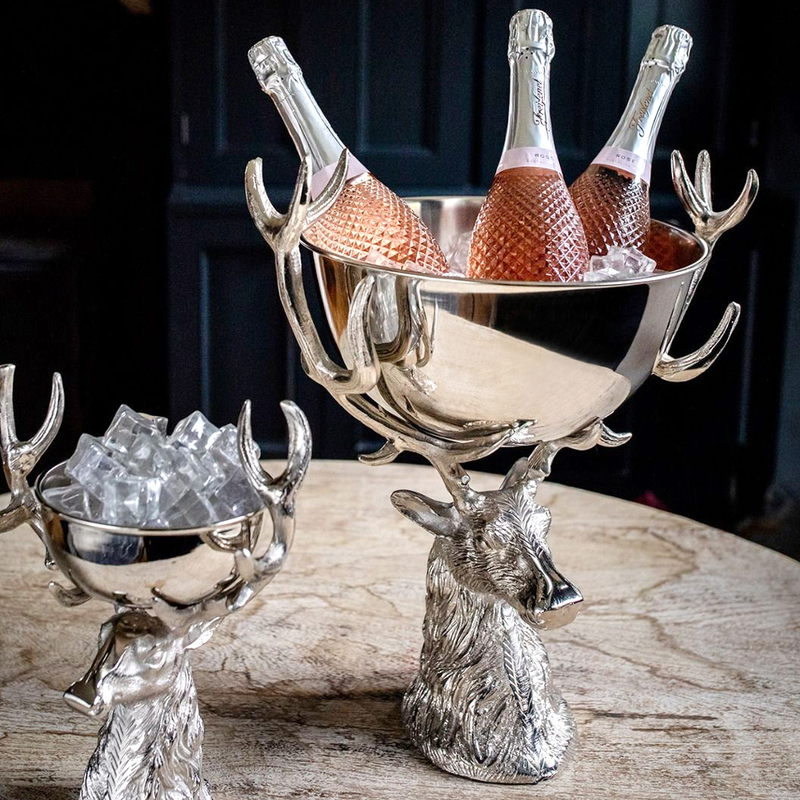 The removable bowl comfortably accommodates three bottles of your favourite bubbly, and although optimised for use as a punch bowl or wine bucket, it can alternatively be used as a fruit bowl, ice bucket or centre-piece for elaborate table settings. 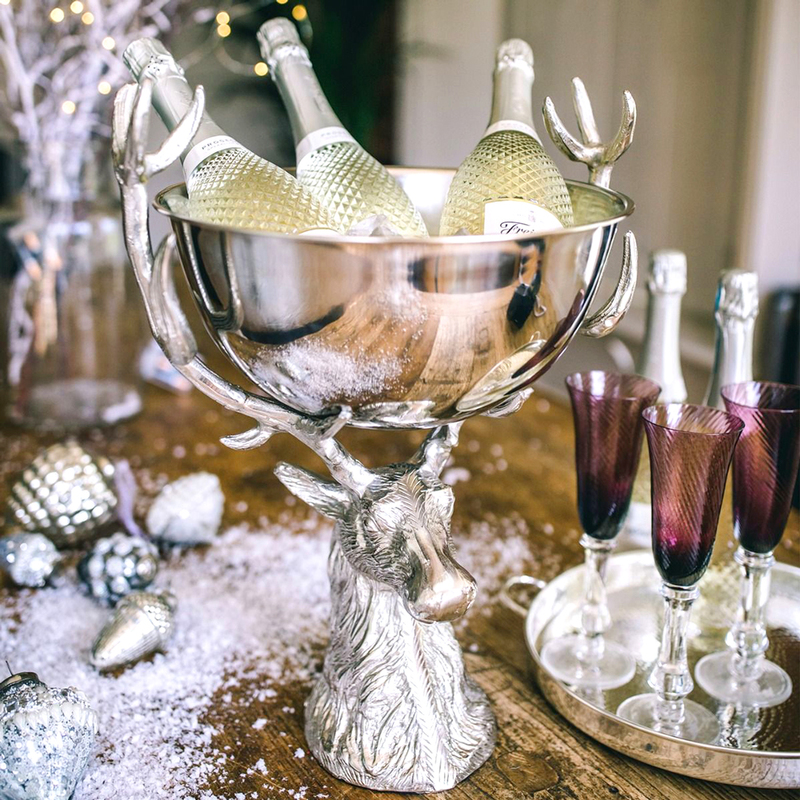 Featuring intricate detailing and design, this champagne bowl is perfect for adding an up market, high quality aesthetic to any table setting.